Calculation for number of Business Days? Is there a way to calculate the number of business days between two dates? 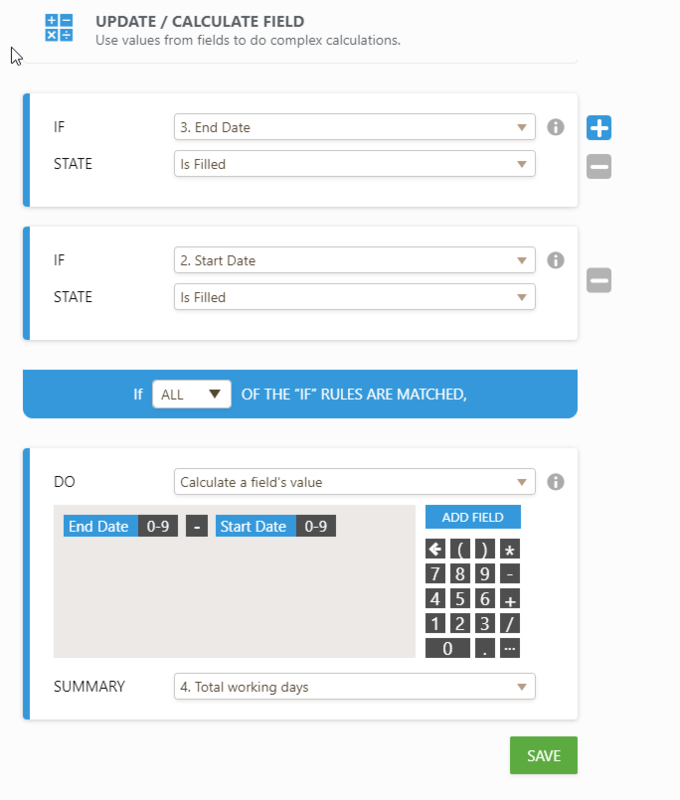 What I did simply putting 2 "Date Picker" fields and 1 "Short Text Entry" field. Then I added a conditional logic that if both "Date" field are filled, I will subtract the value of End Date to Start Date. Then pass the total to the "Short Text Entry" which I named "Total working days". Sorry if I misunderstood. 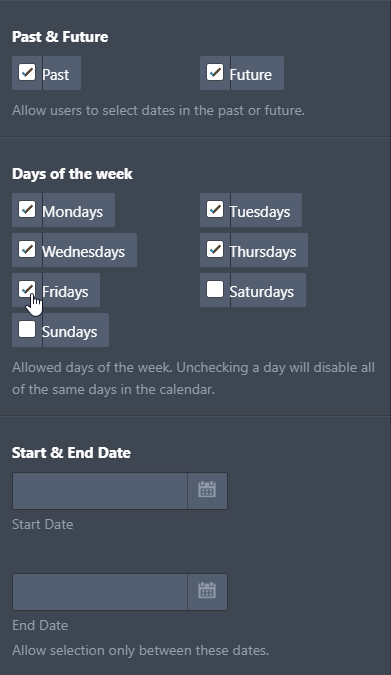 You can disable Saturdays and Sundays so that only Monday-Friday will be totaled. You can also specify what dates can only be chosen.